This is one of those dishes that are really effortless to cook and are amazingly tasty! 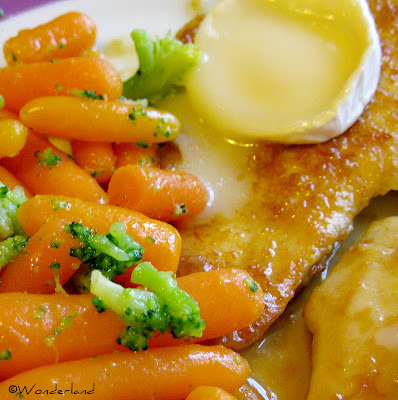 This is in fact a variation of a popular Italian dish, called "Scaloppine". Scaloppine are thin slices of meat (veal, pork, chicken or lamb) first covered in flour and then cooked in pan with different kinds of liquor: the most common ones are Scaloppine al Marsala (with Marsala wine), Scaloppine al vino bianco (with white wine, like in this recipe), Scaloppine al Brandy. They can be made also with non-alcoholic ingredients like Scaloppine al pomodoro (with tomatoes) or Scaloppine al limone (with lemon juice). Because the meat is covered in flour it remains very tender and moist and adding a slice of goat cheese on top just makes them so mouthwatering!! Take the meat out from the fridge to room temperature about 20-30 minutes before cooking. 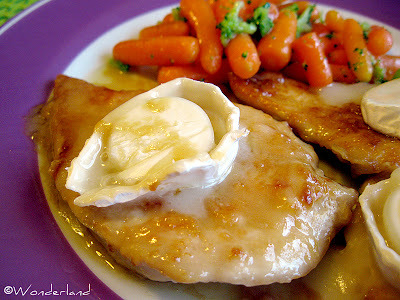 If the chicken breasts are too thick, slice them in 2 parts so they will cook better (and faster). Slice the goat cheese into 1 cm thick slices. Coat the chicken on both sides with the flour, tapping on their surface so the flour sticks onto it. Warm up some oil in a nonstick pan, place the chicken breasts and cook them until both sides get a nice golden color. Add some salt, but not much as the goat cheese is already salty. Turn the heat to low, pour the wine and let it cook for a minute swirling the pan around a little. Plate the chicken breasts. Place the goat cheese slices in a warm pan until they start to melt, place one slice on top of each chicken breast. 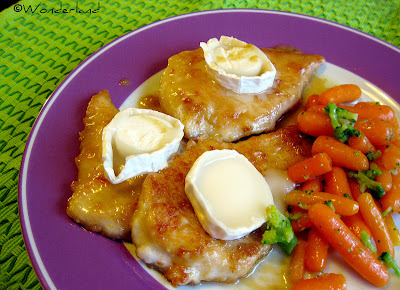 OR: put one slice of cheese on top of each chicken breast. Turn the flame off (or to minimum), cover the pan with a lid and wait until the cheese is a bit melted. Serve immediately, with some mashed potatoes or cooked vegetables. Enjoy!